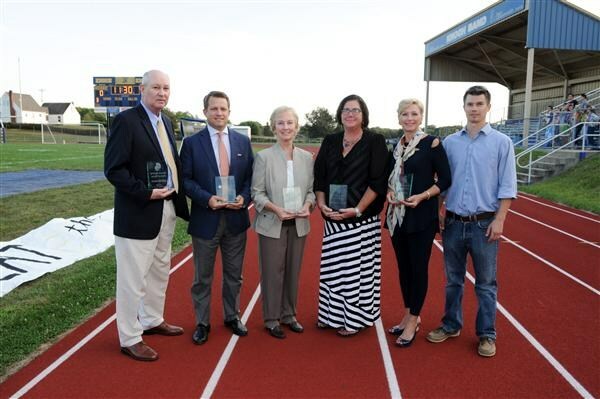 Five individuals will become the first members of the school’s Hall of Fame - dedicated to recognizing the athletic accomplishments and leadership contributions of those associated with Knoch High School sports since its inception in the late 1950’s. Included in the first class are two golfers, two women, and an athlete who excelled in a sport that the school didn’t even field a team for during his high school years. Leading the inaugural class is perhaps Knoch’s most well known professional athlete, golfer Jim Simons. A 1968 graduate, Simons was a 1966 state golf champion, a two-time all American at Wake Forest University and a three-time winner on the PGA tour. Who could ever forget Jim’s run as an amateur in the 1971 US Open. Unfortunately Simons passed away at the age of 55 in 2005. The other golfer honored is 1993 graduate Jefferson Dickson. A two-time WPIAL golf champion and two-time state golf champion, Dickson was also a member of Knoch’s 1990 WPIAL championship golf team. He continued his golf career at the University of North Carolina at Chapel Hill. 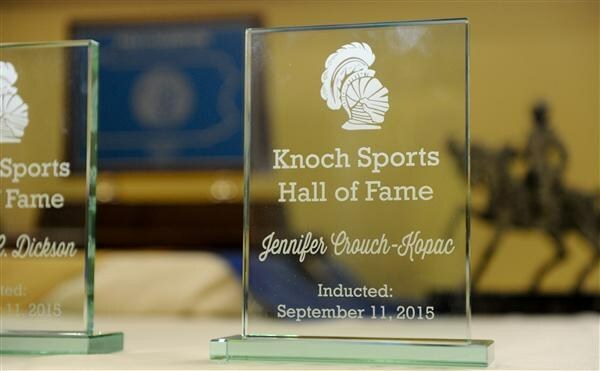 The two women honored are arguably the two best female athletes ever to graduate from Knoch. Joyce Fennell, a 1974 graduate, was an all-around athlete excelling in many sports. She was the first girls’ basketball player to score 1,000 points, finishing her career with record setting 1,248 points – a mark that still stands today. Joining her in the first class is Jennifer Crouch Kopac, who graduated in 1989. Mrs. Kopec was a three-time state champion and three-time WPIAL champion in javelin, and a top-ranked competitor in the shot put. Mrs. Kopac continued her athletic career at Penn State University – earning 4 varsity letters. In 2006 she was inducted into the Pennsylvania High School Track and Field Hall of Fame. The final inductee, former professional baseball player Scot Thompson, never played high school baseball. That’s because Knoch – who won the state baseball championship this year - didn’t have a baseball team when Thompson graduated in 1974. An accomplished athlete in many high school sports, after high school he played professional baseball from 1978 to 1985; the majority of those years with the Chicago Cubs – who selected him in the first round of the 1974 baseball draft.